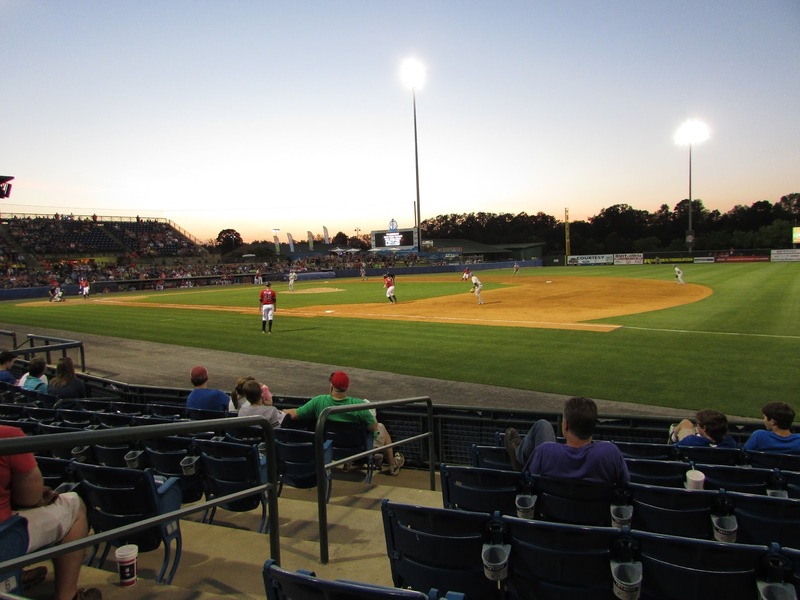 This year's trip began Saturday with a drive to Rome, Georgia to watch the Rome Braves host the Asheville Tourists (with a side trip en route to play disc golf in Dalton, Georgia). 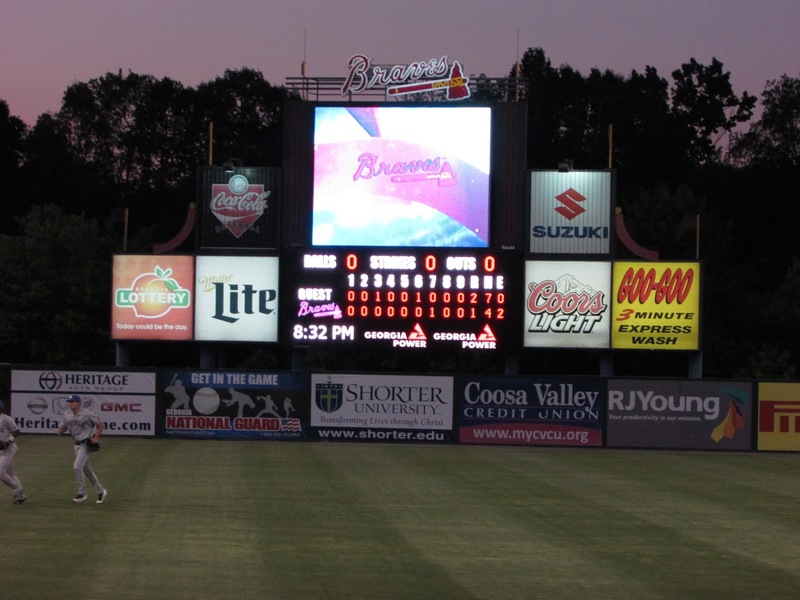 Rome has shown all the creativity in choosing its name that all the Braves minor league affiliates do (except for the awesomeness that is the Carolina Mudcats) and is yet another "Braves." However, in Rome they have concentrated less on the "Braves" part and more on the "Rome" part. 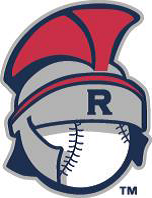 The predominate logo you see is a baseball with a centurion's helmet. When you don't see that the logo you see usually involves a Roman column with a tomahawk. I really like the helmet logo and had to stop myself from buying more than just the hat I planned to. If I have enough money left, maybe I'll swing by on my way back to Virginia and buy a shirt or even a jersey. The Stadium: Rome has a pretty decent stadium. The concourse was surprisingly well filled with various food vendors of different types and at least three souvenir sellers in addition to the main shop. 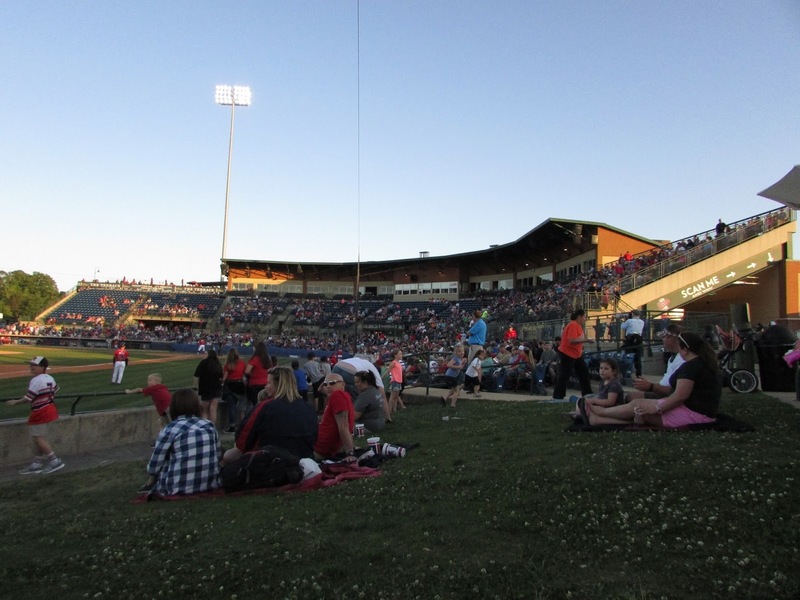 Most of the seats are located around the infield, although there is a place where you can sit on the grass beyond the right field wall. On both sides of the field, once you get to the outfield there are places for people to sit on the grass and watch the game and behind those are tables for people to sit and watch the game. All-in-all, it's a solid single-A ballpark. The Show: I didn't get to see the local mascots in action much because Rome had some "famous" imported mascot whom I had never heard of. He did a fairly good job with skits between innings that kept the crowd entertained. They also had cheerleaders. And I don't mean the one or two girls (or guys) standing on the dugouts you see at many places who do a skit or two. Nope. Five or six girls were on each dugout between innings and up in the crowd during play. I've not seen that in American baseball before; it felt like I was watching Taiwanese games in the Premiere 12. The Game: Rome and Asheville played an interesting game. 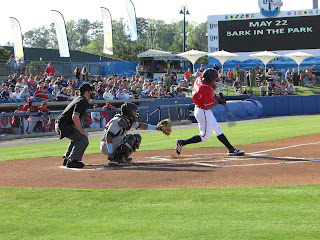 Asheville seemed to have the better fielders and the Braves made some errors that hurt them and allowed the Tourists to play small ball and score single runs in both the third and the sixth. 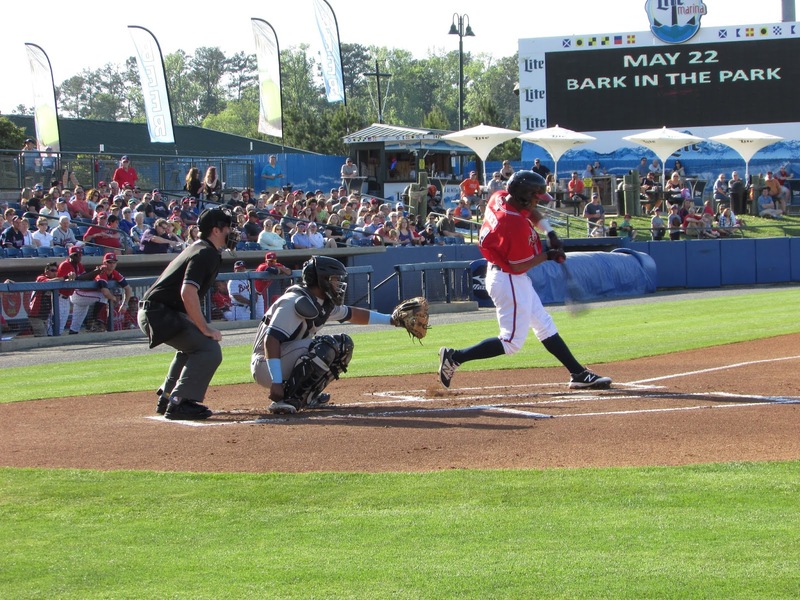 Rome got a homer from Jonathan Morales in the bottom of the seventh to bring the game within one run. When the bottom of the ninth came around and the Braves were only down by one the crowd, which had shown a fair amount of interactive interest to that point, went nuts. 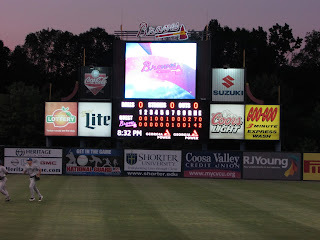 The guys running the scoreboard encouraged them to scream between each pitch, ran the "charge" bugle call, and played the music for the tomahawk chop (every kid in the stadium knew it and did it). Asheville's pitcher got rattled and walked two batters, which made the crowd get even louder and more worked up. Unfortunately for the hometown fans, then the Asheville pitcher calmed down and struck everybody else out. Still, it was great seeing the crowd become so live and into the game. Overall, it was a fun experience and a good way to start this year''s Big Vacation. It's not quite the same experience as starting last year's at the Dayton Dragons, but nothing I've seen in the lower leagues is. 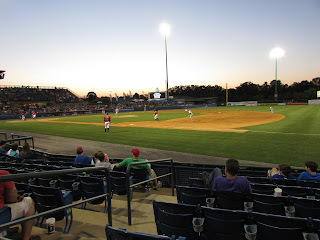 If you are in Georgia it's worth making a trip to stop in Rome for a ballgame.